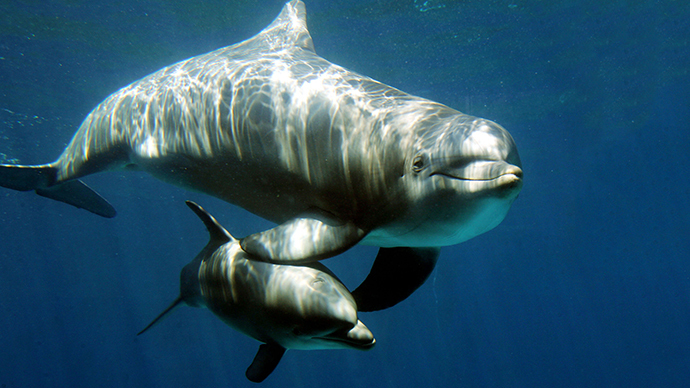 If there were computers under the sea, then perhaps dolphins would have their own versions of Facebook and Twitter. The animals, long known to be extremely sociable creatures, have highly complex and dynamic friends networks, a new study found. 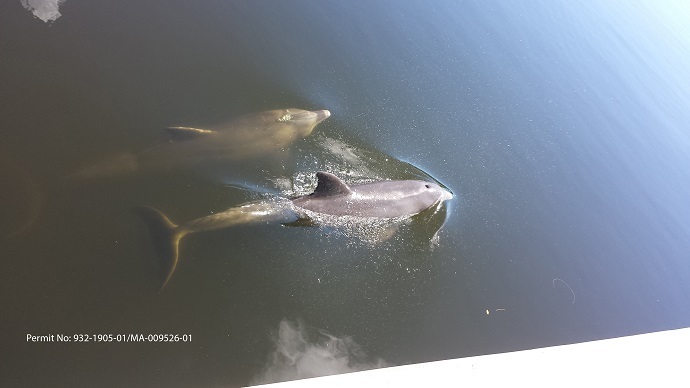 Researchers at Harbor Branch Oceanographic Institute (HBOI) at Florida Atlantic University studied the interactions of bottlenose dolphins in the Indian River Lagoon (IRL) over a six-and-a-half year period. They used intensive photo-ID surveys to learn about dolphins’ association patterns, movement behavior and habitat preferences. Within the 156-mile long IRL ‒ an estuary on Florida’s east coast ‒ scientists studied some 200 individual dolphins out of the 1,700 HBOI has identified in the waterway since 1996. 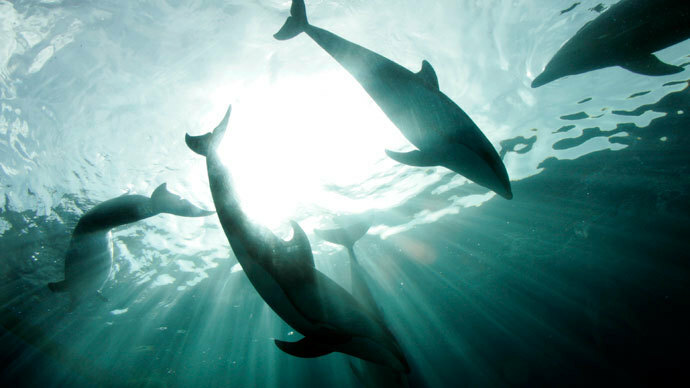 They discovered that, just like humans, the dolphins exhibited both preference and avoidance behaviors, meaning they associated with other dolphins they liked, and avoided those they didn’t. The IRL dolphins also clustered into “communities” of associated animals in their own discrete areas of the lagoon system, perhaps like high school cliques each grab their own section of the school cafeteria at lunch. 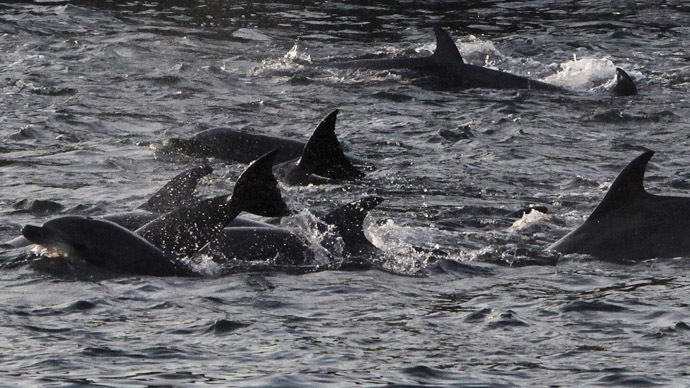 “One of the more unique aspects of our study was the discovery that the physical dimensions of the habitat, the long, narrow lagoon system itself, influenced the spatial and temporal dynamics of dolphin association patterns,” Elizabeth Murdoch Titcomb, research biologist at HBOI who worked on the study, said in a statement. "For example, communities that occupy the narrowest stretches of the Indian River Lagoon have the most compact social networks, similar to humans who live in small towns and have fewer people with whom to interact," she continued. Mapping the dolphins’ social architecture ‒ basically curating their “friends lists” and events calendars ‒ will help scientists and resource managers understand how the animals perceive and use their environment, the HBOI researchers said. The goal is to see how social networks influence the transfer of information, which might include breeding behavior and disease transmission. In 1990, the US Environmental Protection Agency designated the IRL as an “Estuary of National Significance,” in an attempt to help preserve the narrow waterway, which is one of the most biodiverse estuaries in North America. The IRL is composed of three distinct bodies of water: Mosquito Lagoon, Banana River and the Indian River, and contains five inlets and the Cape Canaveral lock, which connects the lagoon to the Atlantic Ocean. The IRL ranges in width from 10 feet (3 meters) to five miles (9 kilometers) and has an average depth of four feet (1.5 meters), with a maximum depth of 13 feet (4 meters). Titcomb worked with Greg O’Corry-Crowe, Ph.D., associate research professor at HBOI; Marilyn Mazzoil, senior research associate at HBOI; and Elizabeth Hartel on the study. 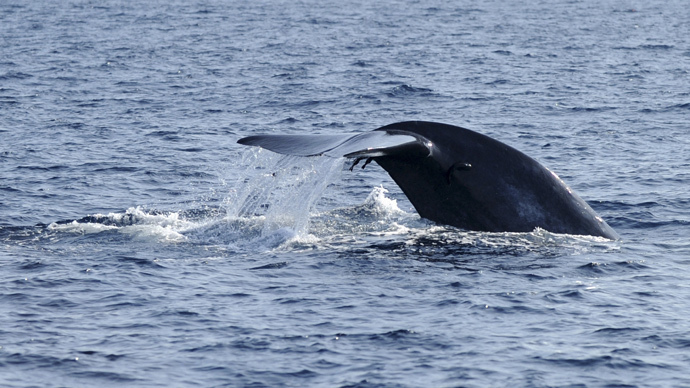 Their research was published in the April issue of the journal Marine Mammal Science.